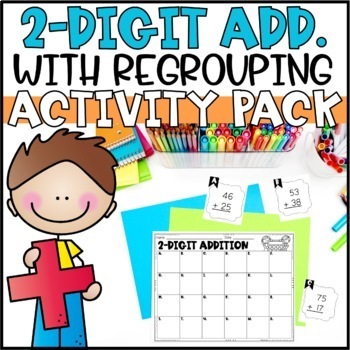 Addition and Subtraction Activities & Games BUNDLE! 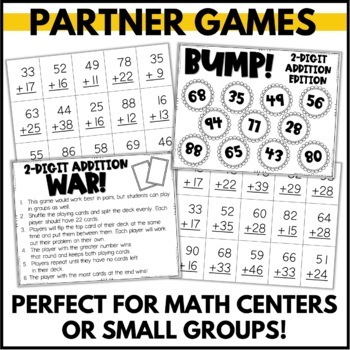 Forget the worksheets - let your students practice 2 Digit Addition with these fun partner games and task cards. They'll be BEGGING you to play these games over and over again, and you'll love the extra practice they're getting! 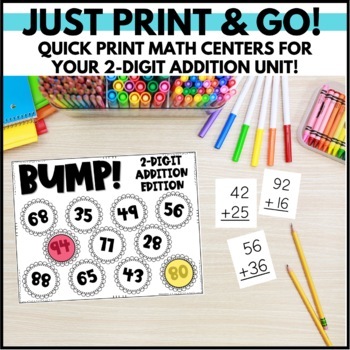 •24 Scavenger Hunt/Task Cards - place these around the room or in a center to have students get LOTS of extra practice while having fun! Save over 20% by purchasing the BUNDLE ! !